Allow plenty of time for this walk – including for a restaurant stop en route. In fact every moment is worth savouring. But let’s start at the beginning. 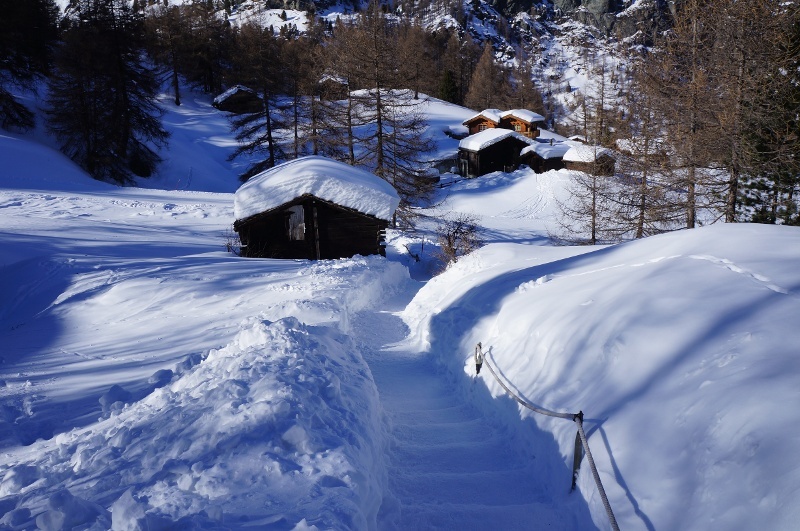 After the last houses at the end of the village of Zermatt, the winter hiking trail starts climbing gently. The air is fresh and healthy, the sun is shining. Soon, in the forest, the Zmuttbach river appears, its boulders wearing hats of snow. At Zum See, the question arises: time for a restaurant stop? Or wait till the end of the walk at Furi? 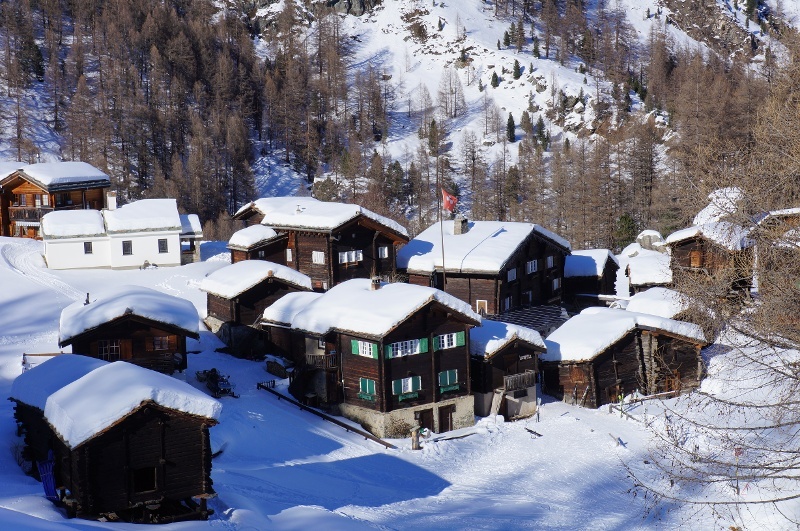 Take a walk through the historic hamlet of Zum See. There was even an important mule trail passing through here. 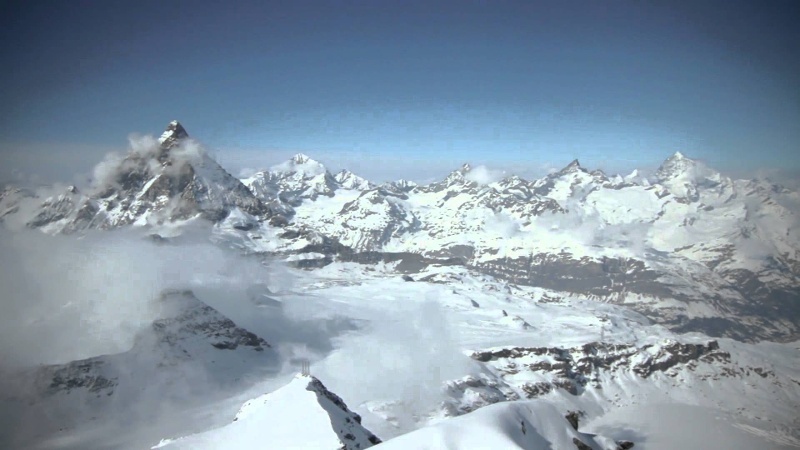 It went over the Theodul Glacier and is listed in the inventory of historic travel routes of Switzerland (IVS).